The 10 Commandments of SEO #Infographic ~ Visualistan '+g+"
Much alike the Bible, the art of Search Engine Optimisation is an intricate world of do’s and don’ts that allow your website to successfully thrive and grow if executed in the right ways. 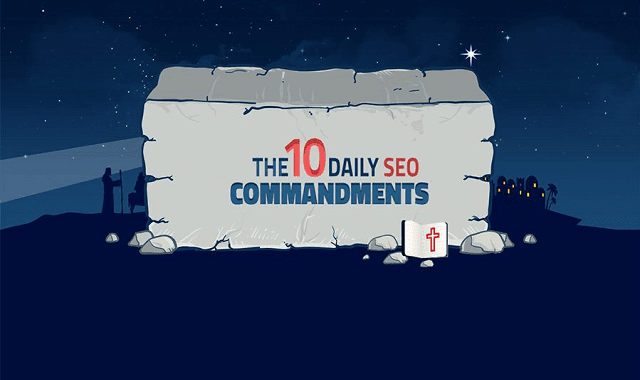 As SEO experts, we have established the 10 Commandments as a guide for you to religiously follow in order to understand what the Search Engine Gods have provided for us and how to respect the guidelines. The SEO commandments mentioned below must be followed with a wise mind, as they are wicked temptations for the weak-minded that pursue quick and temporary results. But, like all journeys, patience and perseverance throughout your challenges will obtain successful and long-lasting goals.